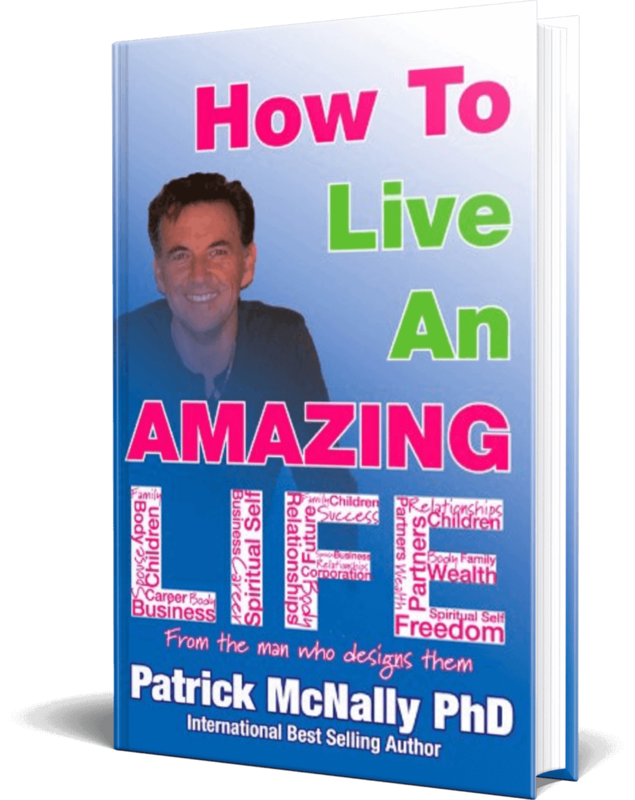 How To Live An Amazing Life – Patrick McNally Ph.D. The AMAZON #1 Best Sellerby Patrick McNally Ph.D.
Have you ever felt your life is being driven by guilt rather than freedom? Do you want to have control over your life and feel amazing? Have you ever been held captive by difficult relationships? Have you ever felt that anxiety, doubt or fear stopped you? Could you run your own business if you knew how? Do you want financial independence? In this latest book International Amazon #1 Best Selling Author and Therapist Patrick McNally Ph.D. brings to life his amazing collection of life changing techniques and strategies that produce amazing results for his clients worldwide. As Lifestyle Therapist to the rich and famous as well as the general public Patrick’s outrageous, funny and unique way of helping people comes across throughout his new book. “Patrick McNally PhD is a Doctor of Philosophy, has a PhD in Psychology, is a Clinical Hypnotherapist, and is a licensed NLP Practitioner and Change Clinician. Patrick works with the general public, sports stars, celebrities, politicians and corporate organisations. He has private practices in Sydney, New York and London. He is a regular on radio and television, having a regular segment on morning television for many years. Patrick is best known for his outrageous methods to help people any way he can. He is dedicated to making sure that everyone knows How To Live An Amazing Life. Patrick says, ‘Today, people’s needs are different so I use everything and anything that will produce an improved change for my client. 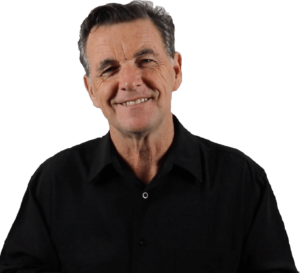 For over 30 years Patrick McNally PhD has been teaching people and business how to improve. In his private practice he deals with a wide range of issues, including relationships, parenting, drug and alcohol addictions, phobias, children and many more. In the business world Patrick heads up the Power Training Corporation, a company that provides training services to corporate and small business enterprises. His clients include IBM, Colgate, Telstra, as well as Government Departments. As a best selling author Patrick has written six self help books and numerous papers. His latest book titled, “How To Live An Amazing Life” is a masterpiece full of case histories of real people making changes in their lives that will truly inspire you the reader. He has a Ph.D. in Psychology, is a trained Clinical Hypnotherapist, an NLP Practitioner and is one of the world’s leading Change Clinicians and operates a private practice on three continents. He is a regular media commentator, appearing on Breakfast and Morning TV as well as taking calls from listeners on the many Radio talk back shows he appears on. He has featured in his own TV Show on Fears and Phobias. He is a Master Public Speaker and uses his sharp wit and infectious humour to its full extent, offering audiences worldwide, laughter, fun, entertainment and knowledge. He and his team design and deliver Peak Performance Training Programs in Australia, New York and London. Patrick works with high profile Celebrities, World Class Athletes, International Government Officials, Government Departments, Politicians and Organisations worldwide. When you and your partner decided to either marry or move in with each other, you both made a commitment. At the early part of your relationship I imagine it may have been easy to make that commitment, but what will happen as you both move through the relationship? How will each of you change as you both grow old together? Many things can change in a relationship over time: the colour of your hair, your waistline, your finances, your self-esteem and self-confidence, the place you live, or even the food you eat. I know I don’t eat the same size meals I did when I was a seventeen year old, when five burgers in one sitting were par for the course. Today it’s smaller servings, fresh fruit and farm-grown salads. So changes are inevitable, you just need to accept that and work together at enjoying those changes. But what happens when your relationship goes a little stale? Inside this 3rd book in his Relationship Series Patrick gives you a smorgasbord of delicious strategies that will have your spouse salivating after you :-). How To Find Your Perfect Partner. PCSP stands for Personal Criteria Selection Process and it’s what this chapter is all about. This selection process is what humans do, often subconsciously, when they go searching for a mate. I’m going to show you how it works and then I’m going to ask you to work on your own PCSP. Repetition is the mother of skill — which means I’m going to remind you as often as I can about important aspects of my message in this book. One of those massively important things is this: take action. In my humble opinion the number one reason people break up is the overwhelming feeling that either one or both must be right … about anything or everything and at any cost. They will argue forever that they are right, which means you must be wrong. And the stupid thing about all of this is that arguments normally leave both you and your partner feeling terrible. Ask yourself was it really worth it being right all the time. I’d rather be happy than right! When a relationship ends it’s painful…sometimes very painful, but one thing I know with certainty is…… eventually you will move on and live your life.